This is a beautiful Irish Angel card to print. Use it as an Irish Christmas card or a St. Patrick's Day card sending blessings to you and yours. This angel has red hair, big eyes, and three leaf clovers. Prints 8.5x11" PDF single side. Print this Irish Angel Card here. 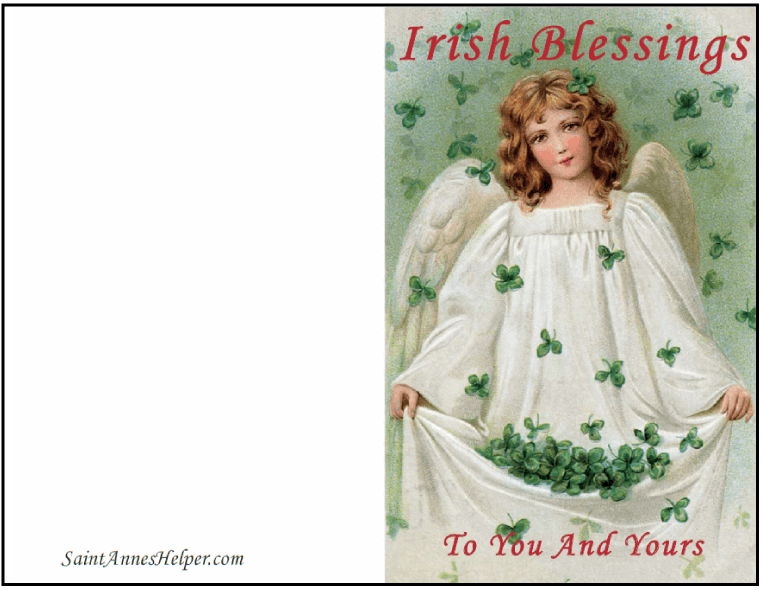 Print this Irish Angel card for Christmas, St. Patrick's Day, and other occasions.